These are the winning golf betting systems and tipsters that we have tested over an extended period and found to consistently generate a profit. Ultimate Golf Tips is a golf betting specialist from the Tipsters Empire stable and provides selections in both PGA and European Tour events. They started off our trial very well with some big priced winners at 20/1 and 16/1 and some good place finishes too, putting them nearly 100 points up at one stage. Sadly though things went sharply downhill from mid-August onwards and they finished our trial with a loss of 93 points. That represented nearly half of the 200 point bank and any members who joined in mid-August would have lost nearly the whole bank by now. That’s the way it often goes in golf betting – where a long losing streak can be turned around by one big winner, but how long do you wait for that winner to come along? For most people it would be too much to take to lose the best part of 100 or 200 points, so they would be out by now. Whichever way you look at it though, a loss of 93 points over the course of a six month trial is a pretty disappointing return. So it’s a FAILED rating from us unfortunately for Ultimate Golf Tips despite the promising start. Ease of use: As with most golf services, pretty straightforward to use with just a few bets per week, normally sent out on Tuesday and Wednesday with plenty of time to get the bets on. Availability of prices: We didn’t experience any problem getting the advised prices and sometimes even beat them using Betfair. Strike rate: The strike rate during the trial was 11%, which is actually fairly typical for a golf service but would need to be a little higher to generate some decent profits here. Advised Betting Bank: A 200 point bank is advised for following the service, which if you joined at the wrong time would be almost gone now. We think a 300-400 point bank would be more appropriate. Subscription costs: You can get a 90 day trial for £30 (new customers only), then the costs revert to £34.99 per month, £87.50 per quarter, £157.50 for 6 months or £279.99/year. Unfortunately with a substantial loss of 93 points during our extended six-month trial, there is little option other than to award Ultimate Golf Tips a FAILED rating. Following golf tipsters does take a lot of patience and a big betting bank, so it is worth bearing that in mind if you are going to follow this or any other golf service. This is one of those trials that started off very promisingly, going over 90 points up at one stage but has sadly been on the slide since then. From the time of our last update just over a month ago they have dropped a further 69 points and are now 67 points down for the trial overall. As we have said before losing runs like this are not unusual in golf when you are tipping at big odds and it takes nerves of steel to see them out. But they are going to need a turnaround in form soon or we suspect there won’t be too many subscribers left to see any kind of improvement they do enjoy. After a difficult August, the tough run continued in September for Ultimate Golf Tips unfortunately, with 31 points lost since our last update just over a month ago. That means that after going 95 points up for the trial at one point, they are now pretty much back where they started at just 2 points up for our trial overall. This has shown the typical nature of golf betting, which can often be a very up and down experience, with one big winner followed by weeks or even months of losing bets – and vice versa. It is crucial to have a big betting bank and plenty of patience when following a golf tipster because this kind of experience is just par for the course really (if you’ll forgive the pun). We are going to continue our trial of Ultimate Golf Tips because we have seen enough promise to believe they could turn out to be a top tipster and hopefully the last couple of months have just been a bump in the road to success. We will see anyway, but we have a number of good events over the rest of the season to find out, not least the British Masters at Walton Heath which starts tomorrow and should be a cracking event to get stuck into. August was a tough month for Ultimate Golf Tips, with a loss of 41 points made over the month. However, they are still well in profit for our trial, sitting 33 points up overall. The month started off well with a placed finish on Thorbjorn Olesen at the Bridgestone Invitational at 100/1, but after that there were slim pickings unfortunately. Still, as we say they are still in profit overall so can’t complain too much and let’s hope they get back to winning ways in September. It’s been an excellent start to our trial of Ultimate Golf Tips, with 74 points profit made so far after one month. The highlights so far include Francesco Molinari winning the Quicken Loans at 20/1, Alex Noren winning the Open de France at 16/1 and a couple of big place finishes at 150/1 and 80/1. The service is also five out of five for its in-tournament bets, most notably on Sunday with Richard McEvoy tipped to triumph in the European Open at 11/2. From reading the comments with the tips you can tell the provider of the service really knows their stuff and has a keen eye for value and which players to take on under pressure. So far we are really liking the look of this tipster and think it could be a top service within the golf betting sphere. We recently started a trial of a golf tipster after not having reviewed a new one for a while and as so often seems to be the case, almost immediately we have another one to look at. This one is called Ultimate Golf Tips and it looks extremely promising. We have to say we haven’t had expectations this high heading into a trial for a while. That’s partly because having started to send out the tips last week, they have not only gone and landed one winner, but actually two winners in their first week of tipping! Those winners were Alex Noren in the Open de France, with a 2 point win bet at 16/1 netting 32 points profit and then Francesco Molinari at the Quicken Loans National at 20/1, also a 2 point win for 40 points profit. Overall Ultimate Golf Tips made a very impressive 60 points profit on the week. What a start! But that doesn’t seem to have just been a flash in the pan. The results over the last few months look excellent, with nearly 150 points profit having been at a return on investment of 74%. And the man behind the service seems to really know his stuff too. Apparently he has been involved in golf betting personally for nearly three decades and has punted golf on a professional basis for nearly 15 years now. He has worked with several bookmakers and odds compilers during this time and has connections to both the European Tour and the PGA Tour in America. He bets on each of the two main tours and has many contacts on each if he needs to find out course conditions, players form and many other variables; and he gives detailed reasoning and feedback on each selection. From what we have seen so far and the detailed write-ups that go with the selections, this certainly seems to be the case and he clearly knows his stuff. Anyway, we don’t want to get too carried away with building this one up and potentially jinx them, but it’s nice to have started off with some winners and it’s rare to find someone who seems to really have expertise in their field. Let’s hope that turns into some consistent profits over the next few months of our trial. We will be carrying out an extended six month trial here to give it a fair chance as golf betting can be quite volatile when you are betting at high odds. So please check back here for regular updates on how the trial is going. In the meantime you can check out Ultimate Golf Tips here. It’s been something of a roller coaster ride during our trial of Golf Betting Expert, with big losing runs followed by big wins. That – if you’ll excuse the pun – is par for the course with golf betting. When you are betting at such long odds (with average odds of 93/1 during our trial), then you are going to get long losing runs. Yes, it can be very trying on the patience when you have week after week with no returns. But stick with it and you should be rewarded. That was the case here, when we were over 100 points down before Cody Gribble went and landed the spoils at the Sandersons Farms Championship at 155/1, completely changing the picture. Overall we have finished in profit, which is the main thing, with 41 points made over the six month trial. As you can see, we were down for the most of the trial before a big leap upwards at the end. Ease of use: Tips are sent out on Tuesdays, giving you plenty of time to get the bets on before the tournaments tee off on Thursday. There are slightly more bets than most golf services though, with around 12-14 bets per week. Availability of prices: There were no problems obtaining the advised prices and using Betfair can get you a significantly higher price on the win part of most bets (although slightly lower on the place part). Strike rate: The strike rate for the trial was 7%, which as we say will test the patience of just about anyone. But those who stuck with the service will have been rewarded. Advised Betting Bank: A 200 point betting bank is advised for the service, but that is clearly not enough as we were 164 points down at one point. So we used a 300 point bank, which should be sufficient but you may want to try a 400 point bank to be on the safe side. Subscription costs: Subscription costs are £1 for the 1st month then £39.95 per month or £99.95 per quarter. Whilst the Golf Betting Expert made a decent profit of 41 points over the course of our six month trial, it was a roller coaster ride. We were over 160 points down at one stage during the trial, which certainly tests your fortitude. At the same though, we had some superb winners, with Cody Gribble at 155/1, Michael Thompson at 110/1, Aaron Baddeley at 55/1 and Patrick Reed at 50/1. So the question is whether you are prepared to accept the long losing runs in return for the massive winners that come in intermittently. If you are, then Golf Betting Expert is a good service and has proved it can generate a profit over a long period of time. This won’t be for everyone though and certainly not those who like a high frequency of winners. A slight downturn for the Golf Betting Expert since our last, with 17 points being lost over the last month. That means they are now 83 points down for our trial overall, which is disappointing stuff. As we have said before though, just one winner can turn that all around, so let’s hope they hit one soon! There has been a small downturn for the Golf Betting Expert since our last update, with 21 points dropped over the last month. That means they are now 68 points down for the trial overall. That is despite having a tasty 110/1 winner in the form of Michael Thompson at the Boise Open. But it just goes to show that when you are tipping five or six players per tournament, the losses can also add up quickly. Still, the other side of the coin is that a couple of winners could completely turn things around for the Golf Betting Expert. Last time we pointed out the importance of staying patient with a golf tipster, as you can often go long periods without a winner. Well if you had stuck with the Golf Betting Expert then your patience would have been rewarded further this month, as they landed a 50/1 winner in the shape of Patrick Reed at the Barclays last week. That came on the back of some good placed finishes, including Matt Fitzpatrick at the Czech Masters at 16/1, David Lipsky at the Made in Denmark at 60/1 and Emilliano Grillo at 90/1, also at the Barclays. That meant the Golf Betting Expert made 57 points profit on the month. Sadly though, they are still 47 points down for the trial overall. However, just one more month like that and we will be back in the black after being 160 points down at one point – let’s hope so. In our last update for Golf Betting Expert, we emphasised the importance of patience when following a golf tipster. Well if you shown patience and stuck with them this month, you would have been rewarded with a winner in the form of Aaron Baddeley at the Barbasol Championship at 55/1. That helped bring in 30 points profit for the month since our last update. Sadly though, the trial overall still stands at 104 points down. So still quite a long way down unfortunately. But at least things have improved and let’s hope it’s the beginning of a recovery for the Golf Betting Expert. Things have been tough for Golf Betting Expert since our last update. They have lost a further 85 points to stand at -134 points for the trial overall. Due to the odds of the tips being so high – in this case the average odds so far have been 95/1 – that means you generally have to wait 95 bets for each winner, which requires nerves of steel. But most importantly it requires a betting bank that is sufficient to cover the losing runs. So in a case such as this, we would recommend a bank of between 500 and 1,000 points. Anyway, let’s hope things pick up for the Golf Betting Expert over the next few weeks as there are some cracking tournaments coming up, so plenty of opportunities. It has been a slow time for the Golf Betting Expert, with 49 points lost since our last update a few weeks ago. It is quite normal in golf betting though to go a long time without a winner, as you are betting at long odds most of the time. So no need to get alarmed yet, although it would certainly be nice to hit a winner. The high points since our last update have been placed finishes for Tyrell Hatton at 66/1 and Nicolas Colsearts at 33/1, so decent returns from those two. But hopefully we will have more positive news to report in our next update. It has been a good start to our trial of the Golf Betting Expert – and it nearly could have been very good. So far we are 8 points in profit after three weeks of the trial, but it was very close to being 66 points better than that on Monday at the rain-affected Zurich Classic New Orleans. Those of you who – like me – managed to catch some coverage on Monday (I listened to it on PGA Tour Radio myself) would have noted the amazing final round of Beyong Hun-An, who unfortunately just missed out on winning in a playoff. So it was a close run thing for the Golf Betting Expert, who nearly added another big-priced winner to his collection. But there have been some nice place finishes to keep things chugging along and good to see a positive start to the trial of this very promising golf tipster. Back soon with our next update. Well what a thrilling – and unexpected – ending it was to the US Masters on Sunday. I don’t think anyone was expecting Spieth to implode in the way he did. He looked to be cruising to his second Green Jacket when five ahead going into the back nine, but just shows you what a strange game golf is. Well done to Danny Willett though on staying cool and securing his first major title. 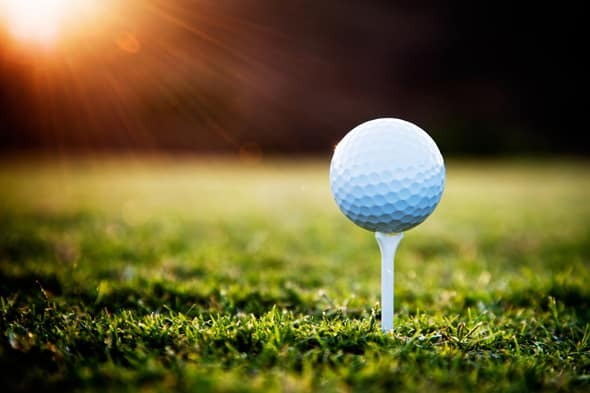 Traditionally the Masters has been seen as the start of the golfing season proper, even though these days there are plenty of good tournaments in the months before Augusta. But it is certainly the start of a good time for golf, with the next few months seeing the Players Championship, US Open and Open Championship as well as lots of good tournaments on both sides of the Atlantic. So it seems like a good time to start a trial of a new golf tipster. The one we have for you today is called Golf Betting Expert from the reputable Betting Gods stable. They have made a very impressive 280 points profit this year at a return on investment of 126%! That works out at a cool £700 per month betting to just £10 stakes. Plus some very good place finishes as well. So although it’s early days for the Golf Betting Expert, this seems like a very promising service and hopefully they will continue the excellent form shown so far this season. As with all Betting Gods’ tipsters, you can get a month trial for just £1, which is a very good way of testing the service out. We will revert back soon with our first update. In the meantime, you can check out Golf Betting Expert here. We are pleased to say that the Golf Profiteer has added 5 points of profit since our last update to finish the trial at 58 points in profit. Things really turned around for the Profiteer in the latter part of the trial with Emilliano Grillo winning at 60/1, Victor Dubuisson winning the Turkish Airlines Open at 43/1 and Charl Schwartzel winning the Alfred Dunhill Championship at 6/1. There was also a near miss with veteran David Toms finishing 2nd at 80/1 at the Sanderson’s Farms Championship. We have said before with golf tipsters that it is (literally) a different ball game to other tipsters. As you are betting at much higher odds, you therefore need a much bigger bank and there will be longer losing streaks. So graphs like this will not be unusual where there is a run of perhaps -50 points or so before a big bounce upwards with a winner at large odds. It is not something to be alarmed about and is just something you have to get used to if you are following a golf tipster. So three years of solid profit, which is very commendable for a golf tipster and this has been achieved at a return on investment of over 26%, also impressive. It’s a thumbs up then for the Golf Profiteer and one we are happy to add to the approved pile. Ease of use: With just 6 bets per week it is a simple service to follow and very little time commitment from the punter. Availability of prices: The prices were generally available and you can match the prices on Betfair. Unusually they tip win and top ten rather than each-way, so using Betfair for Top Ten markets can be advantageous. Strike rate: The strike rate for the trial was 30%, which is higher than with most golf tipsters and is probably down in part to the aforementioned use of the top 10 finish rather than standard use of each-way terms. Advised Betting Bank: A Bank wasn’t advised but we used a 150 point bank for the trial, which was pretty comfortable and should be with a long-term strike rate of 32%. There could be an argument for using a lower bank but we like to be on the safe side on these things. Subscription costs: Very reasonable at just £2.49 for first month then £9.95/month, £19.95/quarter or £79.95 for lifetime. We are delighted to make The Golf Profiteer the first golf tipster we have given an approved rating to here at Honest Betting Reviews. A nice 58 points of profit during the trial was a very healthy return. This is a tipster that clearly knows their stuff and has now established three solid years of profit, which is exactly what we are looking for. We hit a couple of nice winners during the trial, particularly Emilliano Grillo at 60/1, which was a good find because he is a talented young player that came in under the radar at a tasty price. The low subscription costs are a plus and with very little work on your part, this one comes with a firm recommendation if you are looking for a top golf tipster. You can check out the Golf Profiteer here. It has been a superb turnaround for the Golf Profiteer, who has amassed over 85 points profit since our last update about six weeks ago. That takes him to +53 points for the trial overall, which is very good stuff. The turnaround in fortunes has been down to two winners – firstly young Argentine Emilliano Grillo at 60/1, who won in a thrilling finish at the Frys.com Open, overcoming Kevin Na in a playoff and then Frenchman Victor Dubuisson who won the Turkish Airlines Open at 43/1. That was followed up by a 2nd place finish for David Toms at the Sanderson Farms Championship at 80/1 (also advised at 6.8 for the top ten finish) so it could have been even better. We now have over 100 bets for the service, which takes us to the minimum we normally need to judge a service, but we will run the trial to the end of the golf season in about a month or so, just to round things off neatly. In the meantime you can check out the Golf Profiteer here. Unfortunately the Golf Profiteer has continued the downward trend since our last update just over a month ago and is now 33 points down for the trial. However, they were unlucky with Henrik Stenson at the Deutsche Bank Championship, with the Swede managing to throw away a big lead (think it was about 4 shots at one stage during the final round) culminating with him hitting it in the water at the 16th and handing the title to young gun Rickie Fowler. It is also worth pointing out that in golf you are generally betting at much higher odds than in other sports, so losing runs will inevitably be longer. But it just takes one winner to radically turn things around. The bet volume is very low with this service so we are probably looking at a 6 month trial to hit the minimum 100 bet target. We will be back next month with further updates on the Golf Profiteer. We are a month into our review of The Golf Profiteer and thought it would be a good time for an update. It is a busy time of year for golf with the Open Championship, PGA, WGC Bridgestone Invitational and the Fedex Cup Playoffs to come. So how has this one been doing so far? Well, it has made a solid start and is currently 6 points in profit. That is largely due to a nice 25/1 win on Scott Piercy at the Barbasol Championship, which has boosted the results. Interestingly, rather than taking the conventional approach of tipping each-way, they tip win and top-10. Perhaps that provides a bit more leeway if the player does well but doesn’t quite make the places. I know I have had plenty of those agonising 6th place finishes over the years, so top 10 is a safer option I suppose. Anyway, let’s hope they continue to find the profits and we will back again soon for another update. With the Open Championship being played this week we thought it would be a good time to start a new review of a golf tipster. So we have found a promising one in the shape of The Golf Profiteer from the Tipster Street stables. Their stated profits are an impressive 311 points to the good since they started in January 2013. Their profit graph shows pretty steady progress over the last year, so let’s hope they can keep that up during our trial. They concentrate mainly on the PGA and European Tours, with the occasional bet from the Asian Tour. It will be interesting to see who they tip for the Open this week – all eyes seem to be on Spieth as he attempts to complete the third leg of the grand slam and Rickie Fowler after his win at the Scottish Open. But perhaps they will go for some longer odds picks. Anyway, we will conduct our normal three month trial which will take us nicely through the last two majors of the season, as well a WGC event and the Fedex Playoffs, so plenty of juicy tournaments to get their teeth into. Let’s hope we this one turns out to truly be a profiteer! With the golf season now over for the year, we thought it would be a good time to wrap up our review of the Golf Guru. There has been a bit of a late rally from the Golf Guru to come from 70 points down at one stage to finish our seven month trial just 5 points down in the end. That was largely down to wins in the form of Victor Dubuisson at the Turkish Airlines Open at 40/1 and Kevin Kisner at the RSM Classic at 22/1. Plus there were a few placed finishes, which means things finish in a respectable position for the Golf Guru. As you can see, quite a strong downward trend until things were rescued late on with two big spikes that almost took them to level at the end. Anyway, enough of London buses, what are our final thoughts on Golf Guru? Overall we think a neutral rating is justified as they have more or less broken even after a seven month trial. It is one to keep an eye on and see if they can do a little better in 2016. 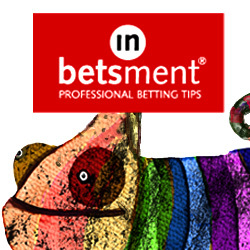 Ease of use: Nice and easy service to follow with just 4 bets per week on average the workload is minimal. Availability of prices: The prices were readily available and no problem at all getting the bets on. Strike rate: The strike rate for the trial was 17%, so as with most golf tipsters, you do need some patience to wait for the winners to come along. Advised Betting Bank: A Bank wasn’t advised but we used a 200 point bank for the trial, which seemed adequate to cover the drawdowns. Subscription costs: There is only one subscription option at £99.97 per year, which we feel is a bit limited and there should be one and three month subscription options to give people the chance to test the service. Certainly on results during our trial, the high subscription cost would not seem to be justified. Overall we feel that a small 5 point loss over the course of the trial warrants a neutral rating for the Golf Guru. Certainly it was no disaster and a couple of nice winners towards the end were very welcome. It remains to be seen though whether the Guru can recapture the form of 2014 when he (or she) made over 140 points profit. This year was quieter with things pretty much breaking even, so to justify the £99.97 per year subscription we would need to see some clear profit made next year. We will keep an eye on things to see if that happens. In the meantime, you can check out Golf Guru here. Much like with our update of the Golf Profiteer service a couple of days ago, there has been a mini-revival for the Golf Guru since our last update about six weeks ago. They have made 25 points profit since our last update and currently sit at -29 points after five months. Much like the Golf Profiteer, they have been helped by landing Victor Dubuisson at the Turkish Airlines Open at 40/1. Plus they have had quite a few placed finishes in recent weeks. So hopefully they will continue the positive progress and finish the trial in profit. We will be back with our final review at the conclusion of the golf season in about a month or so. We have another month of results for the Golf Guru, which has taken in the USPGA Championship and Bridgestone Invitational amongst the high-profile events at this time of the season. Well unfortunately things have continued in a downward trend and service now sits 54 points down after two months of our trial. The plus points so far have been a win for Kenny Perry at the 3M Championship and a number of placed finishes including Paul Casey last week at the Wyndham Championship, Patrick Rogers at the Barracuda Championship and Jason Bohn at the Quicken Loans National. Sadly though, despite these positive returns they are still well down. As we have said with golf tipsters before, you can have long losing runs whilst they search for that elusive 50/1 or 66/1 winner, but when one does come along it can completely change the picture. Hopefully they will hit one of these big-priced winners soon. We now have the Fedex Cup to look forward to so that should give them plenty of action to get their teeth into. We will update matters with further updates soon. After such an exciting finish to the Open on Monday evening, when Zach Johnson triumphed in a playoff to claim his second major title, we have done a quick update of results on one of the golf tipsters we are trialing, the Golf Guru. We have completed our three month trial of Elliott’s Sports Analysis, a sports tipping service that focuses mainly on golf, from the renowned tipster and writer Keith Elliott. Keith is a well known figure in the golf tipping world, some would even call him the “doyen” given his long-established record and having published numerous books on golf betting over the years. So how did he get on during our trial? Well unfortunately the trial resulted in a 16 point loss overall. Things could have been much worse however, as we were over 100 points down at one stage before Keith launched something of a recovery towards the latter part of the trial. Tips are provided for both European and PGA Tour events, with outright tips as well as some of the more specialist markets such as top nationalities and 3-ball betting. Keith also throws in two “Trans-Atlantic Doubles” each week (perhaps inspired by Steve Palmer’s book) combining some of his selections into massive-odds doubles. There are also some football tips, focusing mainly on the Premiership and those made just over one point loss over the trial. So overall a disappointing trial and once again we see that despite a tipster having a long-established and respected record, achieving consistent profit in betting is a very tough ask. As you can see, things went downhill quite a bit early on, but Keith recovered well to nearly break even in the end. Rather than just discarding this as another failed service, we did notice a potentially profitable trend during our trial. By following the tips in the big events – i.e. the major championships and World Golf Championship events – you would have done pretty well over the last couple of years. Indeed, in the last 19 of such events over the last two years, Keith has amassed a very impressive 303 points profit, with 8 outright winners being selected. This trend has been backed up in our trial, where Keith has done somewhat better in the big events than the regular tour events. His total for such tournaments during the trial – i.e. the Masters, US Open and WGC Matchplay – has been 8 points profit, compared to the overall total of a 14 point loss. Ease of use: Not bad – bets are given out at consistent times each week but you need a bit of time to place the bets at various bookies. Availability of prices: OK – prices do tend to go reasonably quickly, perhaps testament to the popularity of the service, so be warned that you may not match the advised prices all the time. Strike rate: The strike rate for the trial was low at 17%, so there will be some long losing runs with this service. Indeed, we were over 100 points down at one stage, so patience, as they say, will be a virtue with this one. Advised Betting Bank: There was no stipulation on the size of the betting bank but I used a 250 point bank to give adequate cover, given that long losing runs are likely with a low strike rate service. This was tested a little during the trial, going 40% down at one stage, so perhaps a 300 point bank would be advisable. Subscription costs: The subscription costs are reasonable at £29 per month, £78 per quarter, £150 for six months or £275 per year. Although the service made a 16 point loss during the trial, that only represented a 6% loss of the betting bank so was certainly no disaster. We feel that rather than writing this off as a failure, there is a potentially profitable angle by following the tips just for the big events (majors and WGCs), where a 300 point profit has been made over the last 2 years, which is not to be sniffed at. There maybe an element with a service like this feeling a pressure to provide tips every week in every event, even when the quality is poor and chances of picking a winner are tough. But when the quality is higher and form more reliable, Keith does seem able to pick some good winners. So overall we think it deserves a neutral rating, with this proviso that if you do subscribe, it may be best to stick to the big events, or at least use smaller staking for the lower quality events. With the golf season getting into full swing we thought it would be a good time to commence a review of Golf Guru, a specialist golf tipping service. Results to date look impressive, with 140 points profit in 2014 and 25 points profit so far this season. Some of their top winners include Brian Harman at 100/1 at the John Deere Classic, JB Holmes at 66/1 at the Wells Fargo, Hunter Mahan at 50/1 at the Barclays and Ross Fisher at 28/1 in the Tshwane Open. With some top events coming up in the next few weeks including the BMW PGA at Wentworth, the Memorial at Muirfield Village and of course the US Open at Chambers Bay, it should be an exciting time to be involved with a golf service. But I’m sure there will be some big priced value available as well. Looks like a decent service to get involved with so let’s see how they get on during our 3 month trial.